A very powerful way for beginners to connect to an animal totem is through art. 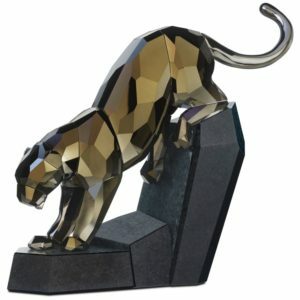 Paint, draw, or sculpt a depiction of the animal and place on altar or other prominent place in your living environment. Honor the animal spirit with a tangible object. 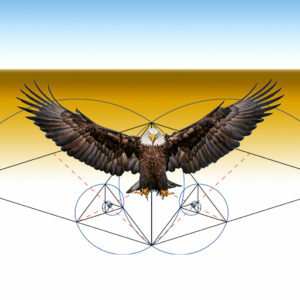 This image serves as a visual trigger as well as an object for your dristhi in meditation. You may also try your hand at dancing or moving like your animal guide, and imitating animal sounds. Be as creative as you can with this honoring practice. If you are more comfortable with spoken or written word, then I suggest working with animal medicine through prayers and ceremonial intention-setting. Incorporate language about the lessons you are working through with the support of your animal totem into your words and spiritual practices. Sound waves are a manifestation of more subtle energy forms, like thoughts. You can create momentum and encourage manifestation using languaging that makes sense to you. In time, you will develop a personal relationship with the animal totem. The method of communication is unique and can become stronger over time with patience and practice. Often, the communication is achieved via psychic, intuitive, emotional and spiritual channels. Approach the process with respect and an open mind. Expectations will not serve you well in this arena. Expectations are like pre-meditated resentments. Remember that your subjective perspective is a vital component to animal medicine because the help is not always the most direct or logical. Allow the animal to reveal it’s medicine to you, rather than trying to make your life fit to even the best-intended assumptions. How you relate to an animal will not be exactly how another may connect to the healing, so you may want to reference an A-Z guide to get started. Another important consideration is the sanctity and honor you bring to working with animal medicine. This component is what has the potential to influence the magnitude of your spiritual practice. Focus and attention on it will generate a lot of power. You may openly discuss your experience with your animal totems within your spirit tribe. However, this relationship is not for idle banter at the water cooler or bragging rights on social media. The animal is intended to assist you, so external confirmation or potentially dissenting opinions from someone else are not necessary for effective healing. After becoming aware of a spirit animal, you will inevitably encounter said animal or it’s likeness in the near future. And, also inevitably comes the question – “What does it mean?” The short answer – like everything else in the physical world, it just is. You see lots of stuff everyday; it’s not all signs. Often, it’s serendipity and luck masquerading via confirmation bias. Confirmation bias occurs from the direct influence of desire on beliefs. When people would like a certain idea/concept to be true, they end up believing it to be true. They are motivated by wishful thinking. This error may lead you to stop gathering information when the evidence gathered so far confirms the views (prejudices) you would like to be true. Accept that it might not be a sign, and that’s okay too. 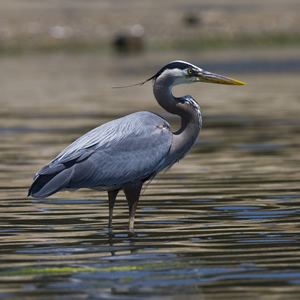 Imagine for a moment that the blue heron has presented itself to you as an important healing totem. While out walking on a local trail, you see a heron standing nearby in the water. First, what were you just thinking about when you noticed the heron? Allow yourself the freedom to explore if the animal medicine of the heron is applicable. If the shoe fits, wear it. Maybe it’s a sign; maybe not. Now imagine that you are able to walk up to the magnificent bird. About 5′ away, you pause and kneel down. For what feels like an eternity, you lock your gaze with the heron. You enter a meditative state as you shift into a more subtle awareness. The distinct energy of the heron stands out to you against the surrounding environment. You think about how vigilant the bird must be, staking out it’s prey, making graceful movements with effortlessness. In contemplation of this unfolding moment, you suddenly realize why you are in a constant disagreement with your boss — you are deliberate and sure in your actions while she tends to be sporadic and changes her mind often. No longer is it about being right or wrong. A sense of compassion wells up inside of you realizing that you should practice more patience. You have a deep knowing that you can work to change communication patterns. Now that you understand the complexity of your different approaches to work, you can make a game plan of how to compromise and work together. As the impact of the revelation sinks in the heron in front of you opens it’s wings and floats off to the west. This type of personal growth from spiritual understanding, manifested in part by an animal, is how I characterize a true sign. It has to mean something in the moment. These signs may be with the natural embodiment, or a depiction. What matters most to understand a potential sign is within your own being. You are the final authority on accepting something as a sign or not. How much it helps is also for your own qualifications and judgements. Book a Chakra Balance with me today to discover what animal totem can help you with your health and wellness goals. 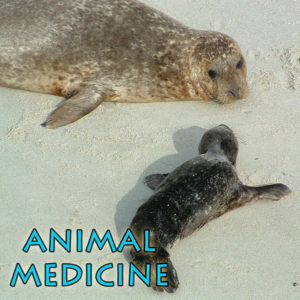 Animals are great medicine because they are both light and shadow. 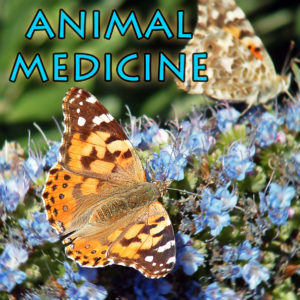 Aside from the respective qualities and lessons in being for each animal, the process of working with animal medicine teaches non-duality. Following the spiritual teachings of an animal totem isn’t about choosing a good vs bad experience, being right or wrong, nor bypassing pain and suffering. The true blessing of animal medicine is that the help you are receiving is a pathway to resolution – continued life and growth.